I dig holes in the yard. Then when it rains, I eat the mud. I am not ashamed. Posted August 11th, 2013 . Mud is obviously very good for him. He is gorgeous! Wow – beautiful rottie! Very sweet face. 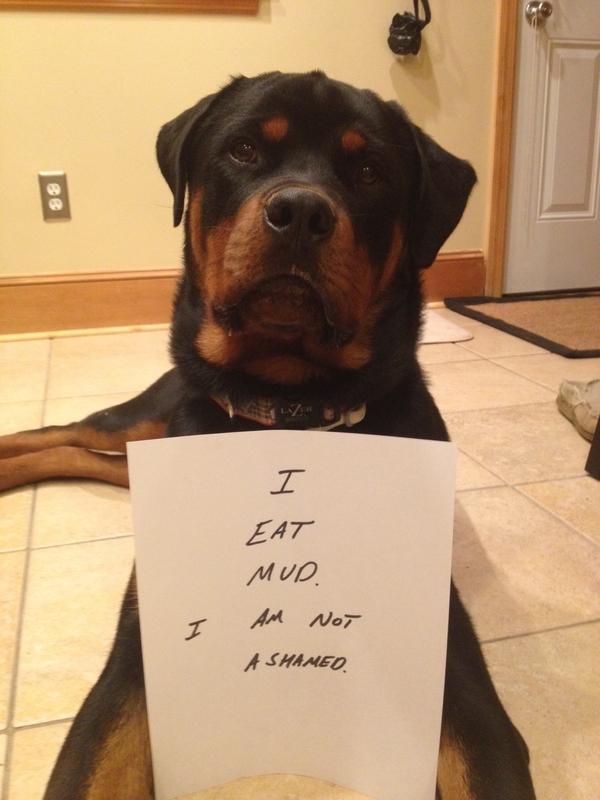 My Rottie use to eat rocks. at least yours doesn’t do that. Hey, sometimes mud looks like chocolate. IF a mud bath is good for your outsides, then imagine what it can do for your insides!